Rainbow Hat with puffy pom-pom clouds! A Big Bone Cookie for any occassion! 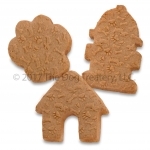 3 Giant Ginger Cookies for Dogs! Offered in your choice of flavors including Peanut Butter & Carob, Peanut Butter & Banana, Bison Sirloin or Pumpkin Cinnamon Cake! 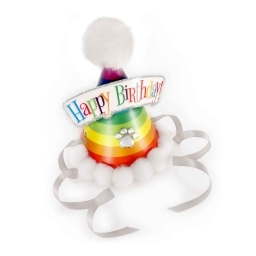 When that special day arrives celebrate with our wheat-free large PupCup cakes! 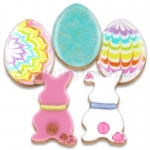 Handmade and decorated large seasonal cookies for dogs. 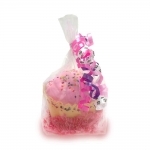 Just like our smaller healthier choice these are dipped in Carob, our dog-safe chocolate substitute, and yogurt icing!